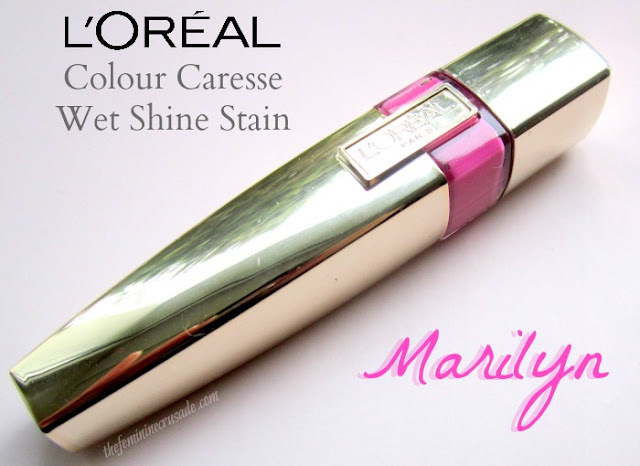 The L’Oreal Caresse Wet Shine Stains are available in 9 colours in Europe. They have same shades but different names in USA. Each tube contains 6ml of product. 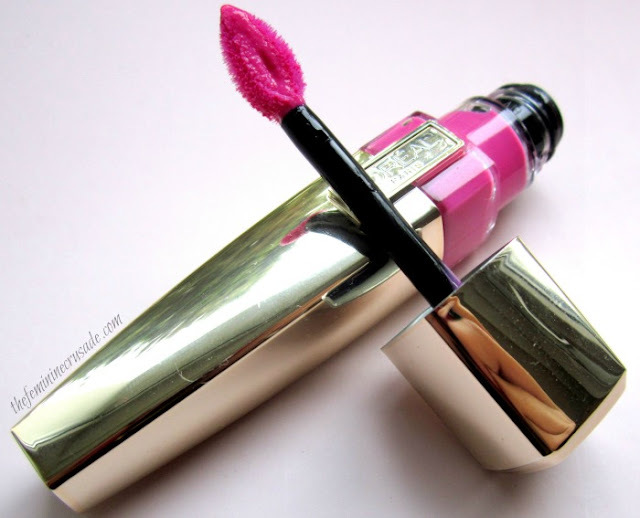 L’Oreal Colour Caresse Wet Shine Stain – the alleged YSL Glossy Stains dupe. Are they? First, don’t be confused with the numerous names given to this product. L’Oreal should have labeled it on the tube but they didn’t. So this product has different name variations that when I first bought it took me hours to locate it on google. Secondly, they are not exact YSL DUPES! They are similar, yes! But not an alternative for them. When compared to YSL Glossy Stains I find L’Oreal Wet Shine Stains less pigmented and more watery. These stains are said to be made of the same formula which is mineral and oil that gives them this weird long-lasting yet glossy texture. Honestly, the way everyone raved about them left me with too much expectation which resulted with me not being too impressed in the end. I like them but for 11.95 euros they should have been more. The tube is very classy, very appealing, very high-end but the minute you touch it loses that luxury. It is such a magnet for fingerprints. 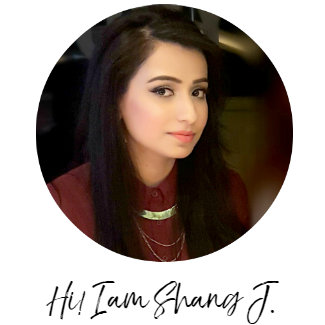 These lip stains have a teardrop-shaped applicator exactly like that of YSL Glossy Stains. 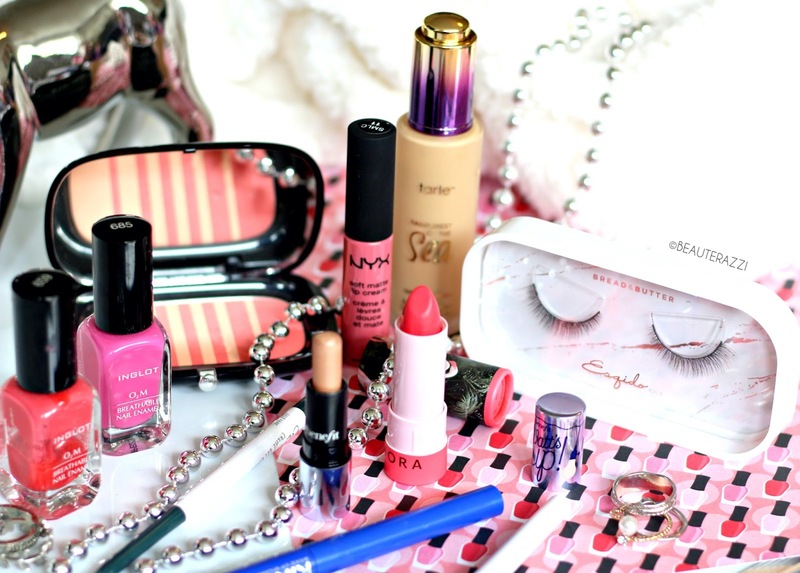 I really love the applicator because it makes it so easy to fill in all curves of lips. I thankfully just got one shade or I would have been disappointed for spending too much on these. 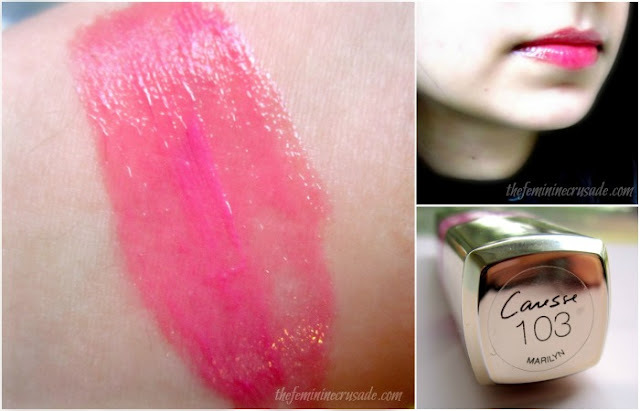 Marilyn ­is a barbie pink which changes to a deeper rosy pink on lips; which is another thing I dislike about these. I swatched a layer and was sold on the barbie pink colour, the fact it does not appear the same on lips was a bummer for somebody who bought it for that shade. So a piece of advice, swatch it on lips in store and layer it up, it takes some seconds to settle and deepen. It is very sheer on first swipe so I have to apply like 5-6 times to get out the colour. It is also a tad sticky, but I love sticky lip glosses. A good thing is it goes well over a lipstick too. What I like most about them is that they last quite long around five hours and then leave a non-glossy stain behind. Also unlike many lip stains they are not drying, they feel very moisturising. If it was priced a li’l less I would have tried some darker shades since I have heard they have better colour payoff. I wouldn't be repurchasing for sure, even though I know with the amount of layers this product needs I'd be running out of it soon.